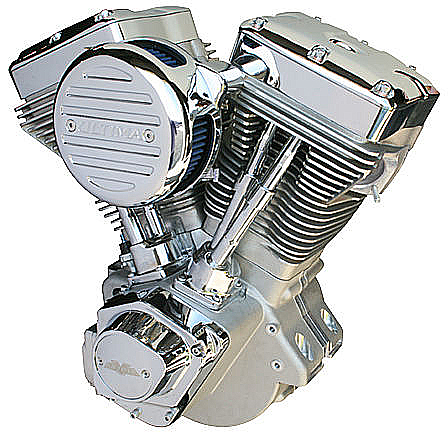 107" Evolution motor for 1984-1999 Big Twin Harley Davidsons. Comes with Ultima® High Performance Carburetor and air filter, Ultima pre-timed electronic ignition, 10.2:1 compression and compression releases. .640 lift cam and high volume billet oil pump. Rated output 107 C.I.= 115 HP with 120 LB FT Torque. MSO will arrive by mail 2-4 weeks after date of sale.